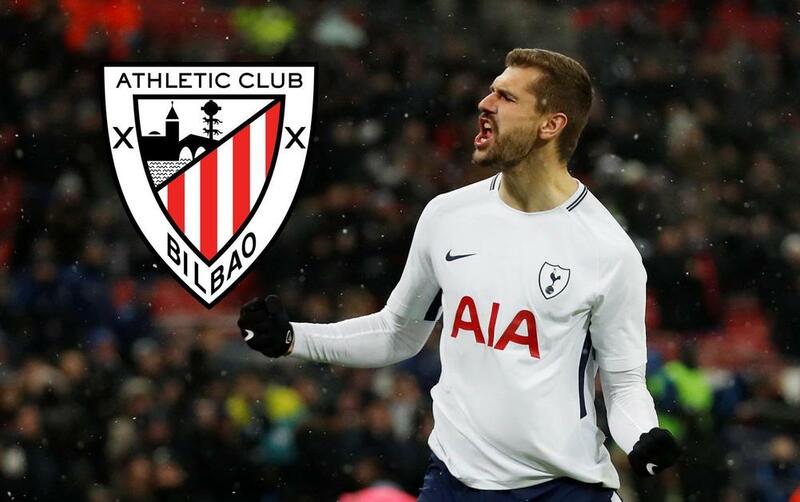 Athletic Club have stepped up their pursuit of Tottenham striker Fernando Llorente as they look to bring the forward back to Bilbao. Goal understands the Liga outfit have made initial contact with Llorente's representatives in a bid to gauge whether he would be open to leaving north London during the January transfer window. Llorente spent eight years with Athletic, scoring 111 goals in 327 appearances before departing for Juventus in 2013. From Turin he moved to Sevilla and then Swansea City before joining Spurs in the summer of 2017. He has struggled to make an impact for Mauricio Pochettino's side, however, netting on just nine occasions - three of which came in Friday's FA Cup win over Tranmere Rovers - as he continues to play second fiddle to Harry Kane. And Athletic are now keen to bring him back to San Mames as they fight off the threat of relegation in La Liga. Los Leones sit 17th in the Liga table having won just three matches all season, though they have seen results improve since new manager Gaizka Garitano was appointed. And with new sporting director Rafael Alkorta keen to bring a series of former Athletic players back to the club, Llorente is high on their list. They have already completed the signing of winger Ibai Gomez, who has enjoyed an impressive season at Alaves, while they are also looking into the possibility of signing Manchester United midfielder Ander Herrera. Athletic had hoped to tempt Herrera back to the Basque country as he struggled for consistency under Jose Mourinho, but the arrival of Ole Gunnar Solskjaer as interim manager at Old Trafford has coincided with an upturn in form for the 29-year-old. As such, Herrera is hopeful that he will be able to sign a new deal with the Red Devils, and Athletic have conceded that it is unlikely they will be able to sign him this January. Next Neymar Sr. Calls Barcelona Reports "Fake News"